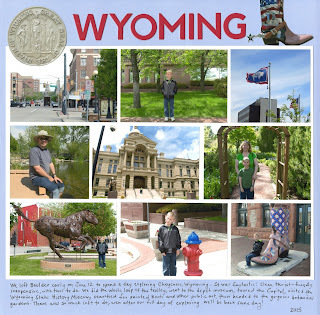 I've mentioned my process for scrapping travel photos before, so I won't go into all the reasons why it often takes me 2-3 years to make a single layout about a particular trip. I'm trying desperately to get caught up with the trips we took in 2014, 2015, and 2016 so that I can hopefully tackle 2017's trips in a more timely manner. In June 2015, we spent a week with friends in Colorado. 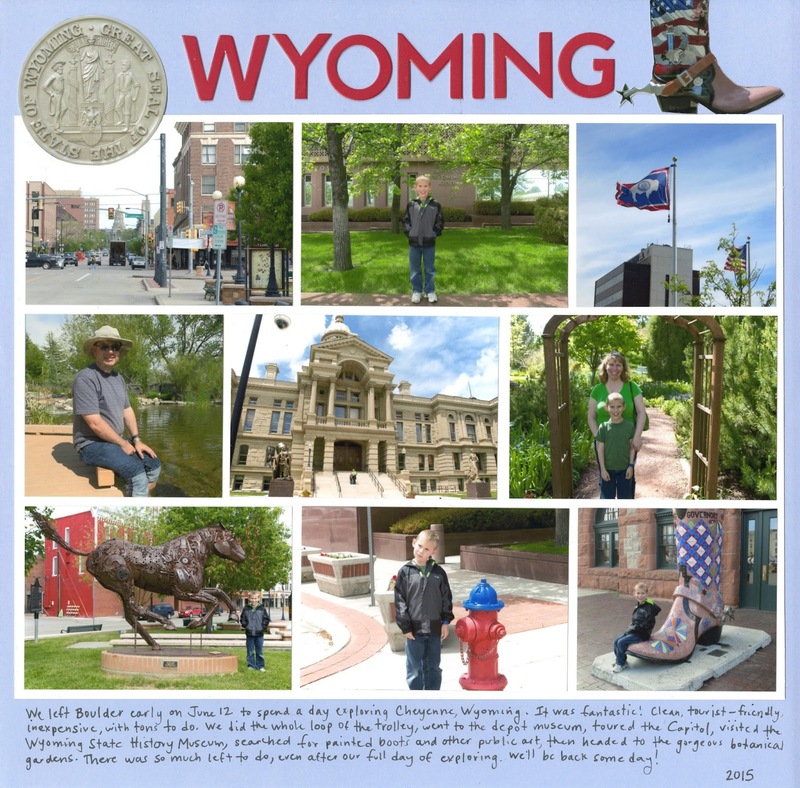 We spent a full day exploring Cheyenne, Wyoming during the same trip. I'm very glad to have both pages in the album. 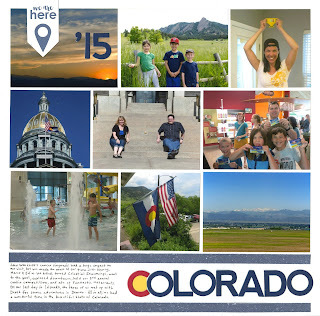 More vacation layouts to come! These are fabulous! LOVING the photos!!!!!!!!!!!!!!!! !